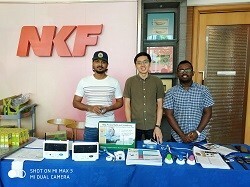 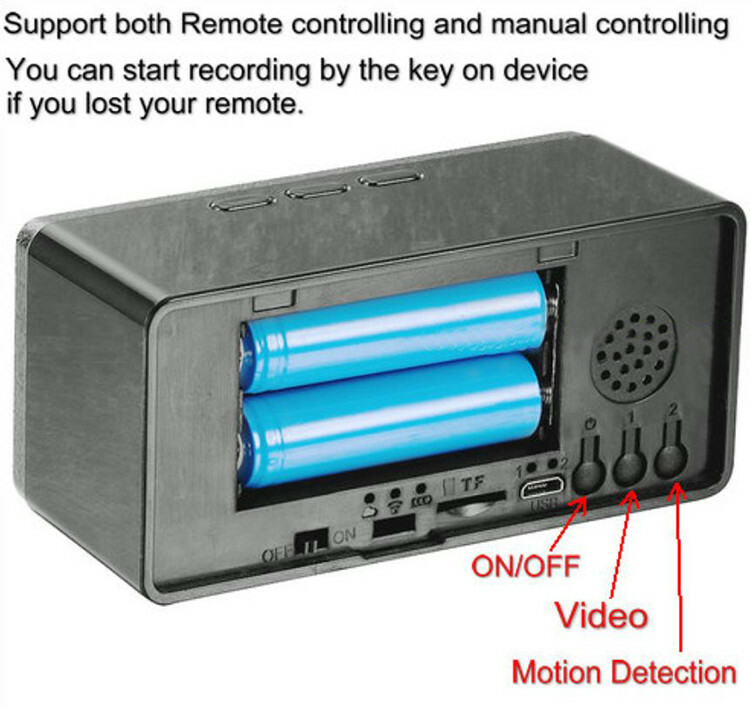 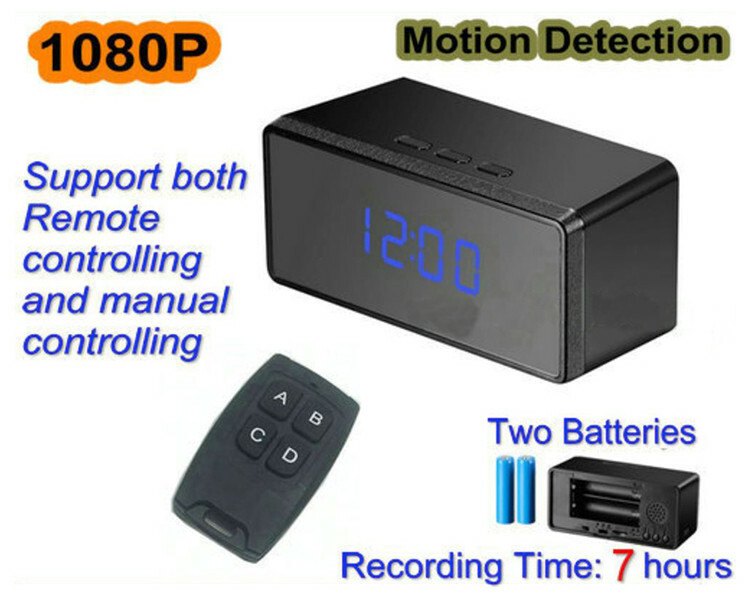 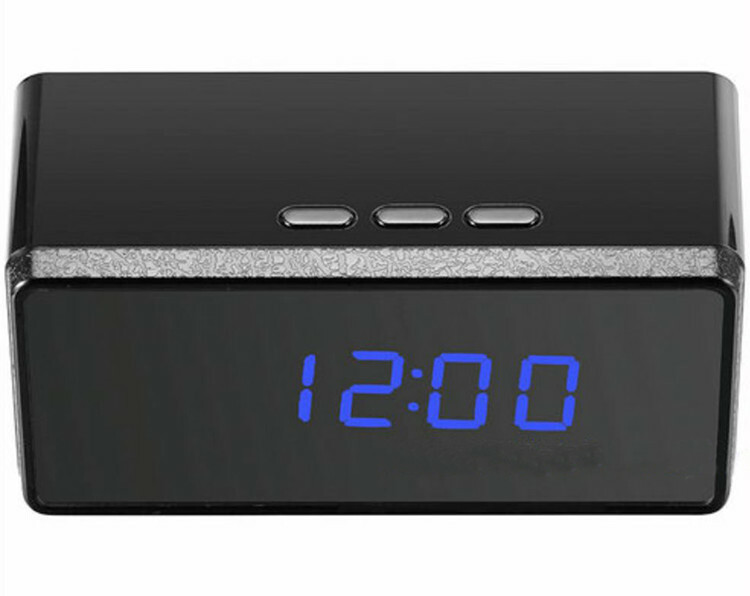 This device is a HD (1080p) IR clock camera with remote control, an external TF card and a multi-functional high-tech product with functions of video recording, photographing, motion detection, alarm, digital clock. 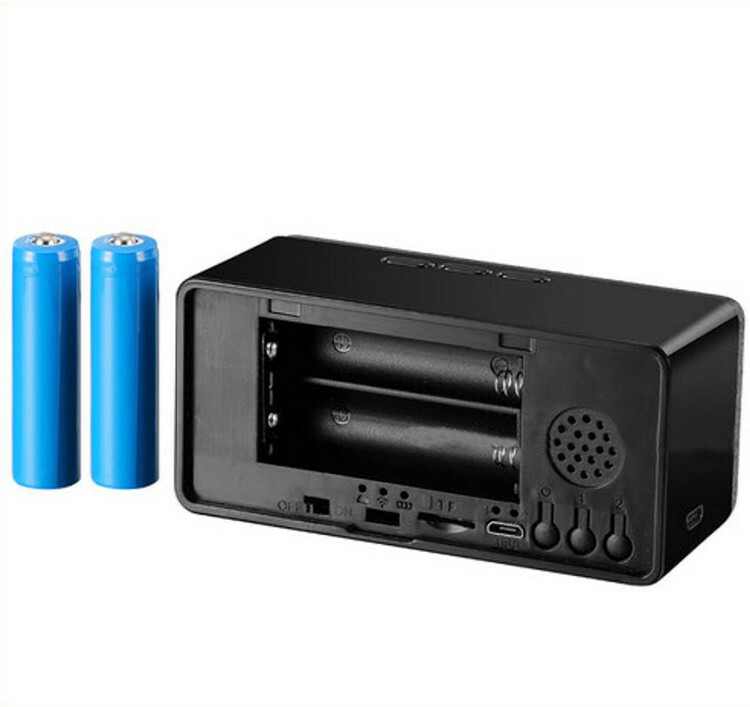 It is equipped with 2pcs high-capacity batteries can support 7 hours continuous video recording and over 20hours continuous voice recording. 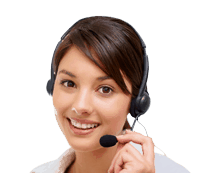 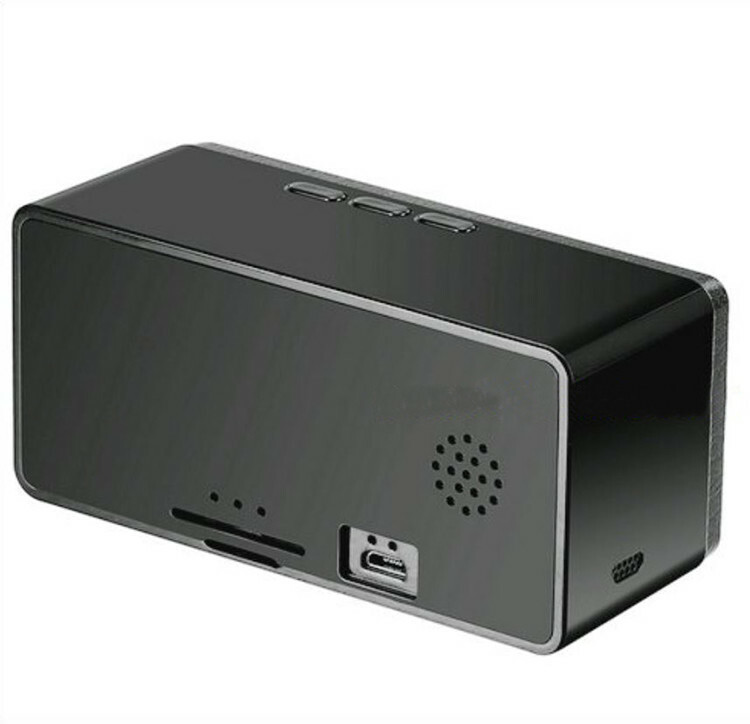 It supports up to 32GB TF card, uninterruptible long-time work and with remote control for easy operation.